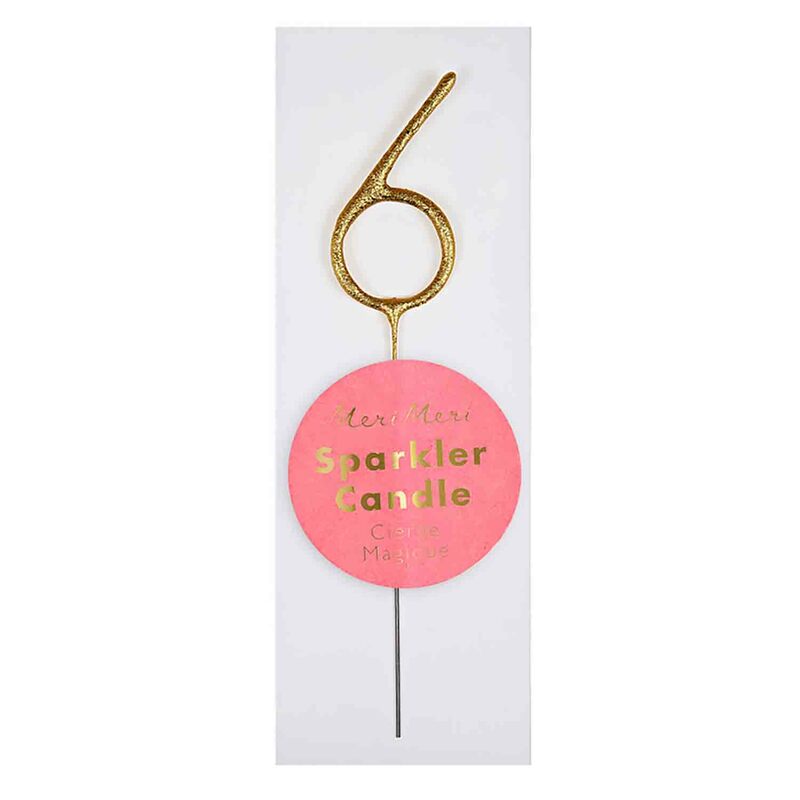 Brand: Meri Meri MR-175564 Units: 1 Dimensions: ¾" wide x 3⅞" long x ⅛" deep Sparkler candles are a fun way to light up any cake. Number shape is coated in metallic gold. Recommended for outdoor use only. Sparkler candles are a fun way to light up any cake. Number shape is coated in metallic gold. Recommended for outdoor use only.